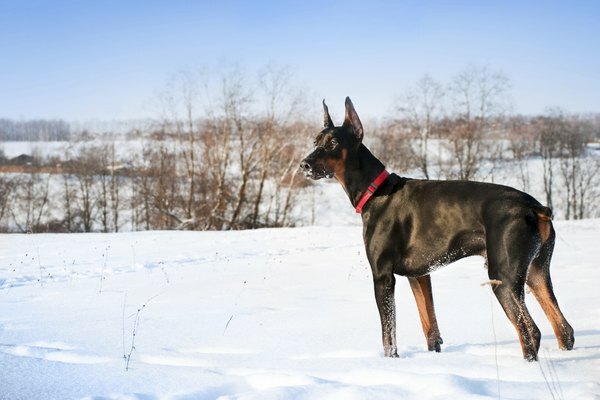 The ears of Doberman Pinschers are naturally long and floppy, and it is only through ear cropping that the pointed, erect ear profile that is often associated with the breed is attained. Ear cropping is a common practice in the United States, but it is banned in the European Union. 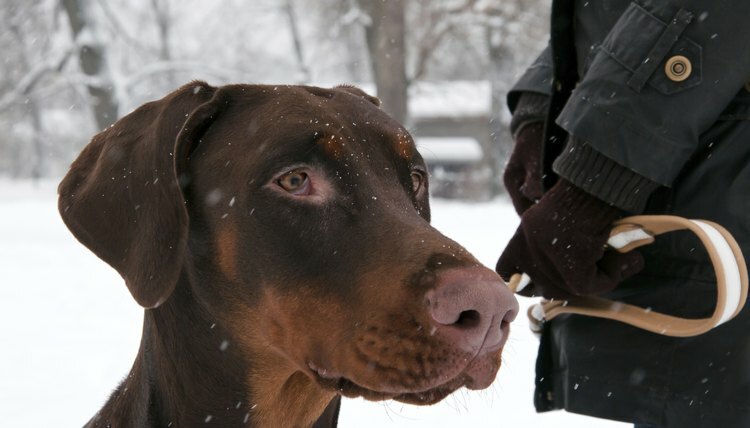 It is also worth noting that Dobermans with natural ears are allowed into the show ring. 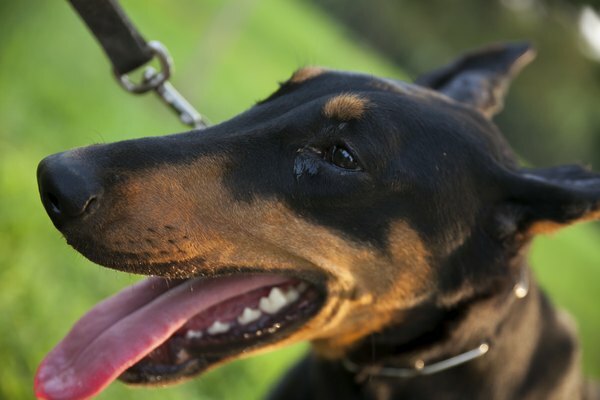 There are three main types of ear cropping that are used for Dobermans. The show crop is a style of ear cropping that creates a curved silhouette and gives the Doberman the longest ears. This means that when the ears are fully trained, they will be very tall. However, it is worth noting that this is a style that takes a long time to train. Before committing to this style, talk with your veterinarian to discuss how appropriate this might be for your puppy. This crop is also known as eagle's wings and may require a second operation to get the perfect shape and conformation. 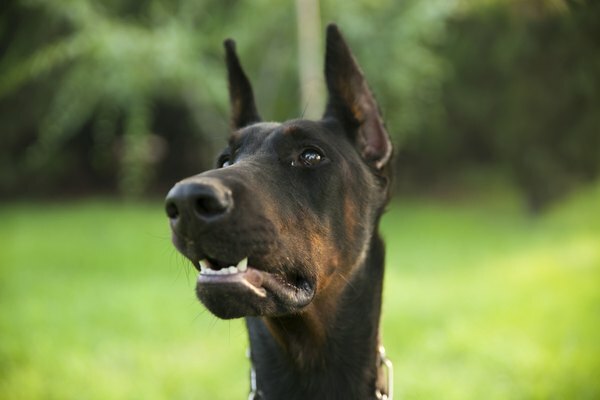 This crop gives the Doberman the shortest ears, and it also known as the pet crop or the military crop. It does not take long to train compared with the other types of ear cropping, and it is the most common crop seen among non-show animals. The ears that are cut to this conformation are very short and have a strongly triangular shape. It is a type of ear cropping that requires the least care. It is often seen in security animals, where owners are worried that intruders might grab the dog's ears. A medium crop combines qualities from both the show crop and the working crop. It is shorter than the show crop, but maintains the show crop's curved lines. A medium crop will not take as long to train as show crop, but it does require more dedication and persistence than a working crop.